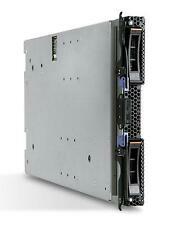 For sale is a used Dell R710 PowerEdge Server. PowerEdge R710. The server has been run through the on-board Dell diagnostics and passes all checks, overall the server is in good condition. 8 x 2.5" disk bays (SAS drives). Apple Xserve 3,1 Server. Not needed anymore. Big heavyweight work horse. Collection only. 3 GB DDR3 RAM. NVIDIA GeForce GT 120 256MB. Two hardrives in the three caddies. Servers in excellent condition and fully working System Manufacturer Dell Inc.
RAM : 256GB installed (32 8GB 10600R DDR3). Chassis – Dell R910 - 16 Bay 1U 2.5” SFF. CPU - 4x 10 Core – E7-4850 – SLC3V @ 2.40GHz. Cards : H700 1GB (HCR2Y). Once you receive the goods we would ask you to inspect them. WHAT'SNOT INCLUDED: - Hard drive and caddies / Inner Rails / Outer Rails / Cables / Accessories / Software etc. WHAT'S INCLUDED: - Server ONLY. TESTING: - Powers up to BIOS fine without any errors or passwords. REQUIRES DDR3 R. Collections can only be made within our normal working hours. We do not accept Scottish currency. We do not accept any foreign currency. Collection in person Collection in person is usually permitted. Sun SunFire X4150 Server. 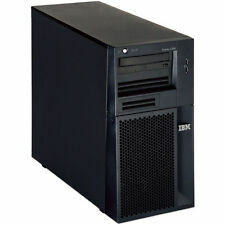 2 x Xeon Quad Core E5450 3.0GHz / 8GB RAM / No Hard Drive. Note - no hard drive caddies are included. Location Reference: 27B. This is aGrade 3item. Power Lead Included. Apple Xserve Server. No Hard Drives are included, but one caddy is. Power Lead Included. CPU: X5670 x 2, 2.93GHz, Six core CPU. Perc 6i Raid Card with battery. Model: R710 3.5" 6 Bay. Model: R710 2.5" 8 Bay. Storage: 8 x 146GB HDD. Storage: NO HDD included. Rack Rail Kit can be included for £50.00. HP ProLiant ML115 G5 Server. Model: ProLiant ML115 G5. Manufacturer: HP. Optical Drive: hp, Type: DVD-ROM, DVDROM DH20N. BIOS: HP, Version: O18, Date: 07/06/2009. BIOS features: PCI, PNP, APM, ACPI, CD Boot, EDD, Legacy USB. CPU: X5650 x 2, 2.66GHz, Six core CPU. Perc 6i Raid Card with battery. Model: R710. Rack Rail Kit can be included for £50.00. Buy it Now! The images used are for illustration purposes only. Fully tested and working. Sun SunFire X4150 Server. Location Reference: 27B. This is aGrade 3item. Sun T5120 Spark Enterprise Server. Ultra Spark 1.2GHz / 3GB RAM. Reference S0082163 SE RED. Location Reference:28B. This is aGrade 3item. Condition is Used. 1U Rack Mount. PowerEdge R610 Rack Chassis for Up to 6x 2.5" HDDs and Intel 56xx Processors Intel Xeon E5640 Processor (2.66GHz, 4C, 12M Cache, 5.86 GT/s QPI, 80W TDP, Turbo, HT) Dual CPU capable (only 1 CPU included) 24GB Memory for 1CPU (6x4GB Dual Rank RDIMMs) 1066MHz Internal SD Module PERC H200 Integrated RAID Controller 16X DVD /-RW ROM Drive SATA High Output Non-Redundant Power Supply (1 PSU) 717w Dual Embedded Broadcom 5709 2P GbE LOM with TCP/IP Engine (4P TOE) and iSCSI Offload iDRAC6 Enterprise No hard drives included. At least 4 drive trays, all 6 if I can find the other two. Working machine pull. No front panel or other accessories - sold as seen in the photos. WHAT'SNOT INCLUDED: - Hard Drives / Inner Rails / Outer Rails / Cables / Accessories / Software etc. WHAT'S INCLUDED: - Server ONLY. TESTING: - Powers up to BIOS fine without any errors or passwords. Drobo B800FS 8 Bay Net Array Storage NAS (no Hard Drives), Used. Condition is Used and in excellent working condition. There is a dent in the corner of the front. This is in near perfect condition otherwise. This has hardly been used and a rare find. Drobo B800FS. 2x Xeon E5649 6core CPU's 12 Cores Total. 12GB DDR3 Ram. HP ProLiant DL360 G7 Server. No refrigeration units. Drop off your old electronics for free recycling. 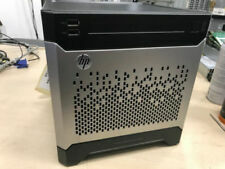 Hi, for sale is my HP ProLiant MicroServer N54L AMD Turion II 4Gb Ram. Upgraded to 4GB of ECC RAM for better performance (you could upgrade further if you want). Upgraded BIOS so can you use 5 HDDs instead of 4 optical drive and can now handle hot-swap. I7 - 3.2GHz - 6GB. May need drivers etc to be fully set up. Ability to connect up to 8 Screens to it. 2 x Xeon X5550 CPU @ 2.66 Ghz / 6.40 GTs / 8M / 4C / SLBFS. 1 x 600GB 10k SAS HDD. 1 x Dell DP 1GbE RJ45 (PCIe-x4). 1 x Dell DVDRW. 1 x Dell PERC H700 RAID / 512MB NV (PCIe-x8) with battery. Sun SunFire X4150 Server. Location Reference: 25A. This is aGrade 3item. Power Lead Included. HP Smart Array P410i 256Mb Minimum cache. HP Proliant DL360 G7. 2x 600GB 10K 2.5" SAS Enterprise Drives. 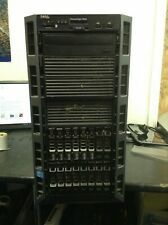 Fully working used 24 drive storage array. 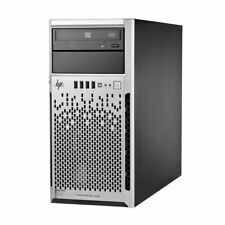 HP ProLiant DL380 G7 Server (1x E5620, 12GB, 2x 750W, P410i 1GB) (8x 2.5" HDD Bay). HP ProLiant DL380 G7 Server (1x E5606, 16GB, 2x 750W, P410i 512MB) (16x 2.5" Bay). HP ProLiant DL380 G7 Server (1x E5620, 6GB, 2x 750W) (8x 2.5" Bay). Different types of organizations and individuals can make use of servers as a way of quickly and easily improving their processing power and exchanging data. When a single computer just won't cut it, get everyone on board through the use of an HP ProLiant DL380 G7 server. Loaded with power, extremely flexible, and masterfully crafted, it's available on eBay and it can handle just about anything you can throw at it. What are the technical specs of this HP server? Processor: The Generation 7 comes with either a six-core or quad-core processor from the Intel Xeon line of products. These servers are able to be upgraded to have a maximum of two processors with 12 cores. Memory: These servers have up to either 12MB or 8MB of SRAM depending on whether their processor is part of the 5600 or 5500 series, respectively. Chipset: These servers contain an Intel 5520 chipset in all models. Storage: Generation 7 servers have a maximum internal storage space ranging from 6.4TB to 24.0TB. Graphics: ProLiant DL380 servers utilise an integrated ATI ES1000, 64MB graphics card operating at either 16-bit or 32-bit colour, with a maximum resolution of 1600x1200 or 1280x1024 respectively. What kind of security measures do these servers employ? Passwords: The ProLiant DL380 has both a power-on and keyboard password, making for two layers of security before anyone can even interact with the data stored there. There is also an admin password required to access the main account of the server, adding further security to your files. QuickLock: The QuickLock feature will turn off the keyboard attached to the server when Ctrl+Alt+L is typed, making it unusable unless the power-on password is entered. Network server mode: When this option is activated, the server will run as normal but a user will be unable to use the keyboard unless the power-on password is entered. Is there a limit to the kind of data stored? There is no limit to the kind of data you can store on this type of server. So long as there is space available, you should not have any issue using it as a storage device.